Something of a mixed media "thing"... The background image is a lake photo. 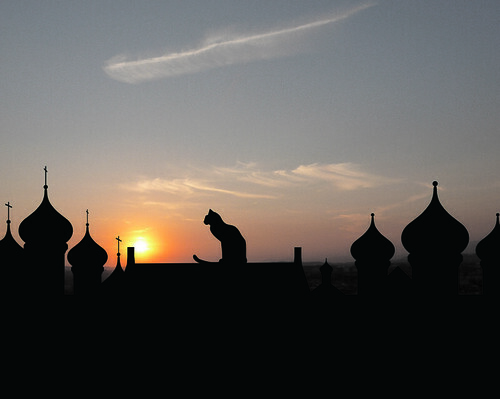 I drew the cat, roof and towers in Adobe Illustrator and tucked them into the photo much later. For some reason or other, my shoreline seemed to need a few towers, a roof and a cat on the roof.